TRABALUS is meeting specific user demands to be able to organize mobile device charging in their very own way, elegant and functional. 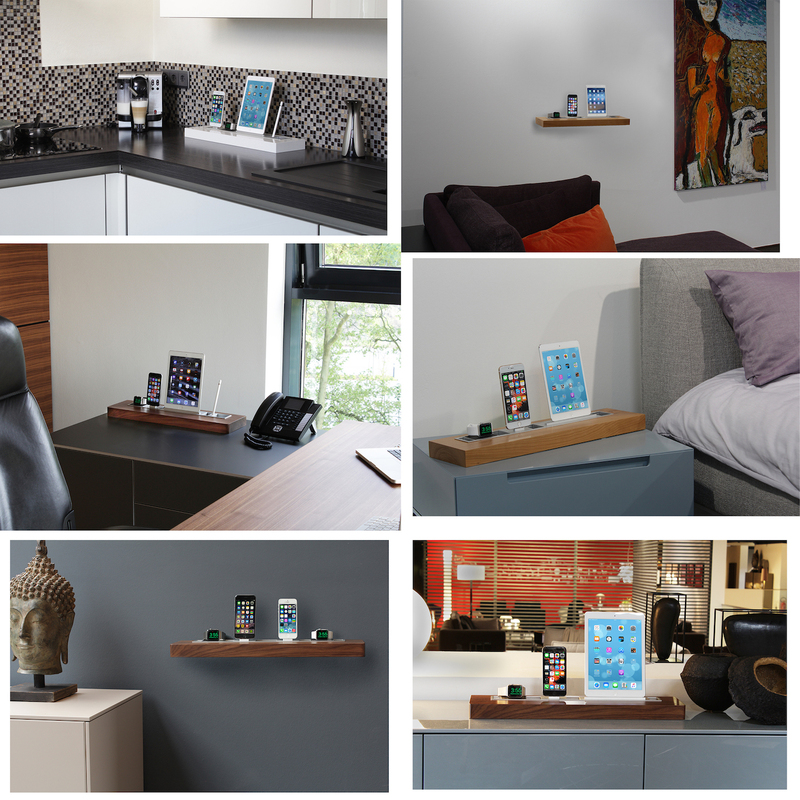 After the success of its Premium One line for the Apple Watch, Enblue Technology has developed a versatile docking station for multiple mobile devices and brands, allowing to setup an individual configuration. TRABALUS (lat. trabalis-beam) is made out of massive wood and can be mounted to a wall or placed on a sideboard , shelf or table. The user can choose from different modules for different devices (e.g. smartphone, tablet, watch) which can be placed at any location inside the 470mm long docking channel and are kept in place by an implemented magnetic system. The modules connect to an integrated 6-Port charger with intelligent auto detection. TRABALUS virtually works with every brand and any case, due to its height adjustable adapters. Michael Schoening, CEO of Enblue Technology : "TRABALUS is meeting specific user demands to organize mobile device charging in their very own way, elegant and functional at the same time. The use of premium materials and the ability to mount TRABALUS directly to the wall enables an integration into any furniture environment"
Functional furniture like TRABALUS will create new possibilities. 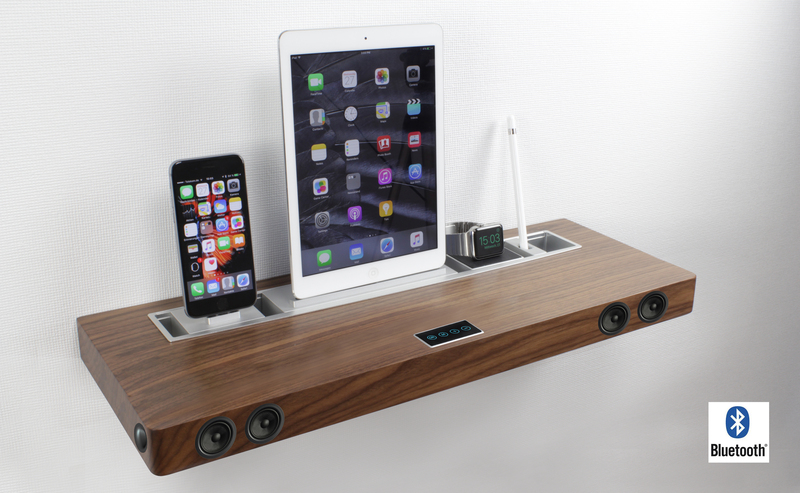 Its multi-charging capabilities in connection with a sleek and easy-to-use design will open new possibilities of using, e.g at customer receptions, hotels, and patient waiting areas.